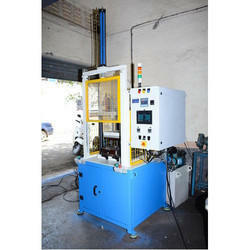 OEM Manufacturer of a wide range of products which include friction gear bonding press. JK automation is develop Friction Gear Bonding Press for high precision bonding application.with latest technology for achieving high productivity and high quality production of friction gear bonding machines.we also customize the friction liner bonding machine according to the customer needs and imagination.our friction gear bonding presses are widely using in Indias and abroad major friction gear and liner bonding process.we offer very durable and quality friction gear bonding machineries as per customer wish. Looking for Friction Gear Bonding Press ?